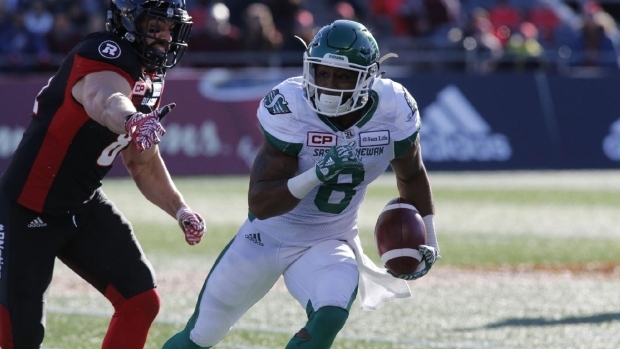 The CFL announced Monday Saskatchewan Roughriders running back Marcus Thigpen has been suspended two games for violating the league's drug policy. The violation was a positive test for the banned substance dehydrochloromethyltestosterone. Thigpen's violation is the first of his career and he will sit out the Roughriders' first two regular season games next season. Thigpen signed a one-year extension with the Roughriders earlier this off-season after playing two games with the team last year. The 31-year-old had seven carries for 32 yards and a touchdown, and two receptions for 31 yards and a touchdown on offence. Also a special teamer, Thigpen returned three punts for 77 yards and one kickoff for 53 yards. Thigpen was a household name in the CFL playing with the Hamilton Tiger-Cats in 2010 and 2011. The Detroit native racked up 616 receiving yards and three touchdowns through the air, and 316 rushing yards and three touchdowns on the ground. Thigpen also had a combined 2,698 return yards in Hamilton before heading south to play in the NFL.